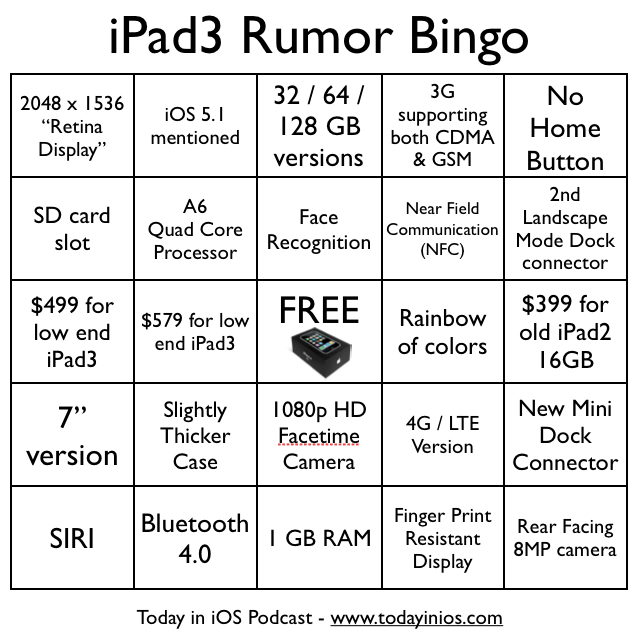 Sticking with tradition - here is a rumor bingo card for the iPad3 made up of many of the rumors since the launch of the iPad2. These are not all likely - and some have Zero chance - like the 2nd landscape mode dock connector or the 7" iPad. I try and put them in order so we get a bingo on the card. Put your thoughts in the comments below. New episode talking about this and more coming later this evening. The App Economy Creates Nearly 500,000 Jobs in U.S.
Apps create 466,000 jobs in the U.S.
Apple admits it has a human rights problem - NOT!!! Do iOS Apps Crash More Than Android Apps?